WHAT FUTURE DO YOU WANT FOR YOUR CHILDREN? Every child has a gift to offer the world. As a parent your jobs is to help them find and develop it. Quite often the personality traits I recognise in many young people are the same traits that will give them problems at school and through their adolescence. We have an education system that focuses on academic achievement and because of this, entrepreneurial traits are overlooked or suppressed in many cases. When they are suppressed they have a major detrimental impact on the emotional health of the child. The great thing about recognising these traits at an early age they can be developed before the child’s environment can pull them down. 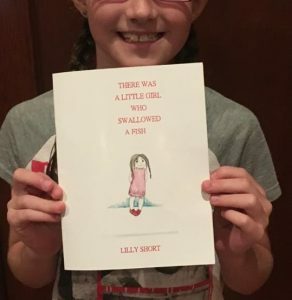 The story of 7 year old Lilly Short is one example. Lilly had two strong trait in particular and together they formed a strong entrepreneurial spirit. The first trait, Judgement variation is a trait that indicates someone who comes up with ideas that most people just wouldn’t think of. More than just being imaginative, it’s about seeing ideas that at first don’t seem to make sense to the rest of us. In business we find these people to be great assets when brainstorming new ideas, that is when we bother to listen to them. The second trait showed a strong pioneering trend. This is someone who wants to be a trail blazer; being the first at trying and testing new things. Those traits together, and along with some of her other traits showed that she wouldn’t conform to a regimented system or protocol. Once her parents understood her personality and the gifts she has they allowed her to spread her wings. The first thing she did was write her first children’s book and at the age of 8 has become a published author. Having watched her father who is a Business Coach she decided that she wanted to help other kids at school. As she said, many of her fellow students are suffering emotionally at school and she wanted to help them. She is now creating her own brand of affirmation cards which she is sharing with other students. And most recently her Pioneering Trend really kicked just before her 8th birthday when she became the youngest person to do the Sydney Harbour Bridge climb. Most children miss these opportunities because their parents are unaware of the gifts their children possess. How will you help your kids to fly?